Does anyone else every feel like they’re working on five hundred projects at the same time? I think that’s definitely the role I’ve taken on since we returned from Christmas break (I know, that’s a long time ago). I have about five different units I’m working on ranging from first grade social studies to the water cycle to money, but I can’t seem to get anything completed. I really need to work on solving that problem. It’s difficult to get things completed right now. I’m wrapping up my third semester of grad school and our end of the semester projects are stacking up. 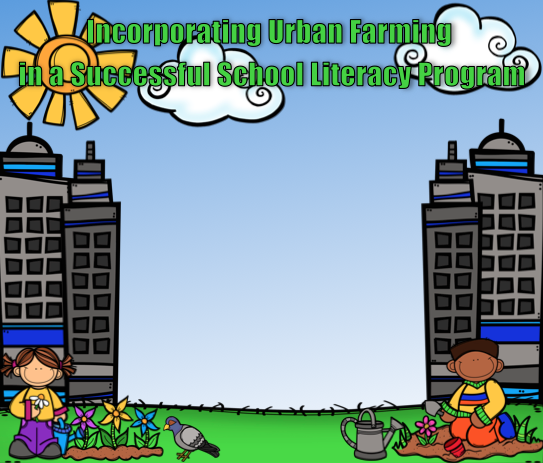 I am working with a partner on a literacy project that is centered around urban farming. On top of the paper, we have to grade a 5’x3’ poster that will be presented to the undergrad students (no pressure!). 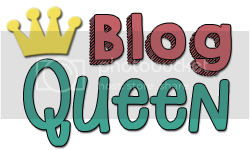 Thank the lord for Creative Clips – she makes designing this poster so simple! The downside, it’s printed from a computer on campus, so I can’t use any of my awesome KG fonts. It has to be windows compatible – yuck! Thankfully, we have our Easter break coming up and a short week ahead! This week the first graders will come to my classroom for a little sneak peak at what 2nd grade will be like for them next year. Since social studies is my passion, I’m using my block to create a tiny activity for them to work on. This will be pretty interesting since we only have 20 minutes with them! We also have a Bunny Hop dance for the kids on Thursday and a dress down day (we usually wear uniforms). Basically, this week will be chaotic and crazy, so I’m using it as a time to review a lot of what we need to brush up on. We completed a few different units last week, so there is no sense in starting something big before the break. Perfect review opportunity and a chance to change things up a little bit. I’m sure that there will be a few other things that I will add on to that list as the week goes by. This year has felt very scattered and disorganized. I had a set flow last year and this year our school began using the Success for All (SFA) reading program and our world changed. Everything we worked so hard to create and build was washed away. Now, as an educator and someone working towards that reading specialist endorsement, I will say that SFA is not my personal favorite. However, I’m following the script and doing everything I can do outside of our reading block to assist my students with what they need. Things change so much from year to year! I’m already planning for next year. I really want to break apart standards this summer and dig deep into ways to work with them so that all of our students needs are met. But that’s the summer and it’s not even April yet and I still have a million things to finish. See what I mean? So many ideas and so little time! Well, spring is almost in the air. It depends on the day around here. We are expecting snow showers tomorrow - at least that's what they say today! I feel as though it's been cold for years. I am definitely a warm weather person! I love hot, muggy summer nights. Throw in a thunderstorm and I'm just about as happy as I can be! We've been busy here in 2nd grade as we've begun to tackle fractions. What was once a hard concept for me is much easier for them. They love it! Of course, I don't remember ever having the hands on options that they have. It would have been a lot nicer and way more fun! We've used a few of my previous creations to guide us through it! 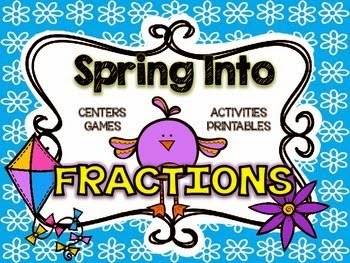 We haven't had the chance to break out the fraction flower garden that's featured in the bundles, but my kids last year just loved making them and they were adorable to hang on the bulletin board in the hall as an intro to spring. We practiced drawing some of our fractions today. They get really into understanding what the numerator and denominators are - numerators to the north! We've also been pushing forward with our recycling unit. We did it a little early this year, but I don't mind because we'll actually have a lot of activities we can focus on around Earth Day! I'd love to introduce them to some of the great causes that I personally support. I'm saving a lot of boxes and things around my house just to have enough to use as a craft. I'm also working towards my personal Earth Day goal this year of giving up my K-Cups! I am embarrassed that I even own and use it, but I've vowed to finish using the cups I have and never buy again. Now, if I could just get a handle on my graduate courses and get back to creating, that would be amazing! Of course, shopping for outfits for this summers TPT conference doesn't help either! Yesterday we took our 2nd graders on a field trip to the Sealife Aquarium in Aurburn Hills, Michigan. It wasn't exactly what we expected, the kids were a little bummed that it seemed so short, and outside of a field trip the admission is very expensive. It took us about half an hour to see everything, which made me feel like my kids rushed, but after speaking with other teachers I'm finding that this seems to be fairly common. It was exciting to see eels, rays, and sharks. They have an octopus, but it was hiding in a corner and was hard to see. It's pretty dark in aquarium, so keeping track of kiddos very closely is an absolute must. Either way, I thought I'd post and share a few of the pictures that I took while we were there! I spy an octopus that's trying to hide from us! I wish I had time to take more pictures, but keeping track of my kiddos is always the top priority! And yes, they all thought the eel was gross and scary!